What happens when a state of exception becomes a state of normality? Can architecture emerge as a symbol of survival and adaptation? Promoted by Matica of Bosnia and Herzegovina, presented by Urban-Think Tank and Baier Bischofberger Architects with the support of Matica of Bosnia and Herzegovina and the Swiss State Secretariat for Economic Affairs (SECO), Sarajevo Now: The People’s Museum is a unique collaboration that builds on the socially grounded design tactics and modes of informal practice showcased in the exhibition Si/No: The Architecture of Urban‑Think Tank, which was shown previously in Zurich and at the Pinakothek der Moderne in Munich. For centuries, Sarajevo has been a crossroads. The Balkan route has again become the conduit for millions of refugees and migrants forced to seek sanctuary beyond their homelands. Meanwhile, Sarajevo’s deteriorating building stock has emerged as a new kind of urban frontier. The utopian socialist dreams superimposed upon the city’s Ottoman and Austro-Hungarian legacy during the Tito era were only partially realized. After a devastating war and the paralyzing political crisis that has defined the post-conflict reconstruction period, much of this spatial inheritance now endures as neglected modernist ruins. 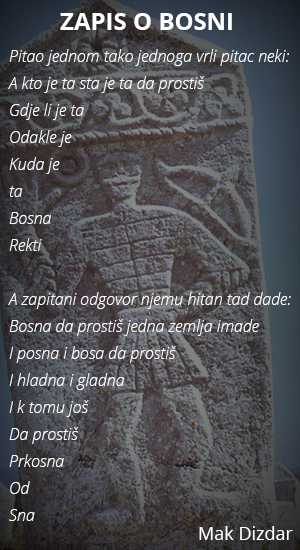 The Historical Museum of Bosnia and Herzegovina epitomizes this phenomenon. Like no other built form in Sarajevo, the ‘People’s Museum’ stands as an icon of resistance and resilience, revealing in its structure, collection, and program a drive to make something out of nothing. Individuals are activating the site with little or no financial means, generating the beginnings of a new bottom-up urban hub that bypasses the immobilizing pressures of institutional gridlock and factional politics. By reclaiming a paradigmatic space for societal interaction and cultural activity, citizens are questioning what the 21st century museum can be. Inspired by these forces of reuse and popular ownership, Urban‑Think Tank and Baier Bischofberger Architects have conceived a series of temporary interventions to empower the social processes already underway, preserve and revitalize the physical structure before permanent funding is secured, and transform the museum into a catalytic site that shapes the city beyond its walls. At the center is a proposal to wrap the cold and leaking structure in a transparent material. Stretched over scaffolding that prepares the museum for repair, this cheap system will not only heat and shade the existing building and create new usable spaces, but also recast it as a symbol of the uncanny. The wrapped museum emphasizes the historic value of the modernist structure itself, while pushing Sarajevans to embrace a regenerative spirit that views the entire city as a work in progress. Alongside architectural proposals, the exhibition also incorporates screenings of the film 1395 Days without Red by renowned artist Anri Sala, photographs by Charlie Koolhaas, and a broader retrospective of Urban-Think Tank projects and research worldwide. Sarajevo Now: The People’s Museum reinforces a broader vision of architecture that responds to popular aspirations and needs. It also reflects an ongoing collaboration between ETH Zurich, the City of Sarajevo, and the Historical Museum of Bosnia and Herzegovina through the ‘Reactivate Sarajevo’ initiative, which will culminate in a series of exhibitions, workshops, and discussions in Venice and Sarajevo.